"In the banking industry we have to exercise caution when providing building access. 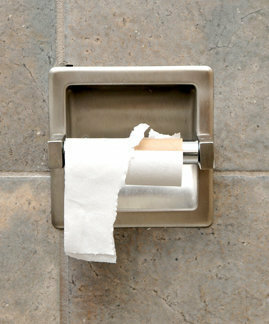 Our previous janitorial company set off alarms regularly and we even had a few reports of things missing from the supply closet and break rooms. We have a great relationship with our Night Shift staffed person and have even come into our building and found neatly stacked change and loose bills with a post-it note - notifying us that she had found lost cash during a weekend clean." Night Shift's exclusive AutoStock Supply Service removes all the hassle by monitoring, ordering, delivering & restocking all of the consumable supplies for your building. Billing is easily included on the next monthly service invoice. 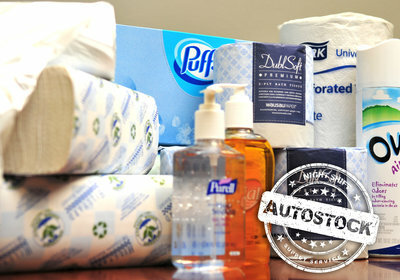 Paper products, soaps, hand sanitizers, toilet seat covers, air fresheners, feminine hygiene, etc. Coffee supplies, disposable dishware, etc. Contact your Night Shift representative today to consider all of the product and supply options that can be included in your AutoStock program.